Sorry that this post is quite late, but this week has been really busy for me! 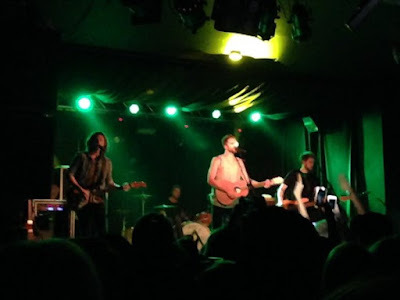 Anyway, I went to see Lawson on Monday night and they were incredible as usual. I’ve seen them about five times now and they always put on an amazing show! I first became a fan of Lawson in 2012 when they released their first single, ‘When She Was Mine’. I basically thought the song was really catchy and I really liked it, and it all started from there. It surprises me how underrated they actually are; despite their songs being lyrically, vocally and musically amazing not many people seem to be that familiar with Lawson, so if you haven’t really heard much of them I would definitely recommend giving them a listen because their music is really, really good! Now I’ve given a little bit of an introduction about the band, I’ll start actually talking about the concert! Since my group of friends I’ve been to see Lawson with before have all gone to unis elsewhere now, I found myself with nobody to go and see them with this time around, so my mum (who’s so obviously a secret fangirl) came with me. We arrived at the venue, the O2 Academy in Birmingham, about 10 minutes before the doors opened at 7pm and to our surprise there wasn’t that much of a queue, which was a shock for me as in June I spent around 6 hours queuing outside a stadium for One Direction to get to the front! We got even more of a shock when we were let in and the room was so small; there are three separate rooms in the O2 Academy and we were in the second one which holds only 600 people! It definitely was a change from a usual arena of thousands of people and especially the stadiums that I’ve seen One Direction in that can hold over 60,000 people! It’s really nice to have the experience of a really intimate concert, though. There were two support acts, which I won’t really say much about because let’s be honest, does anyone actually ever pay attention to the support acts apart from the moment when they ask if you’re ready for the main act to come on and everyone screams as if to say ‘yes, now please get them on the stage instead!’? So, when Lawson finally came on stage, as you can imagine, the crowd went crazy. It’s amazing how in such a small and intimate venue the sound is still as loud and resounding as in an arena. It was really good to see them on stage again, especially as they hadn’t toured or released new music for about 2 years. They sang all 4 songs from their new EP (which you should definitely check out if you haven’t done so already! ), which sounded even more amazing live than they do in the studio versions. 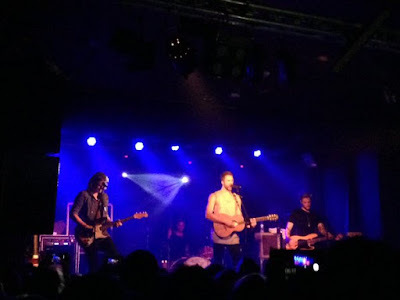 Lawson are definitely one of those bands who somehow manage to sound better live than on a CD or the radio; they play their instruments enviously well and Andy, the lead singer, has an incredible, strong and unique voice that really pulls on your heartstrings especially in the slow acoustic songs. They did a lot of their ‘old classic’ songs which got the whole crowd jumping around and singing along at the top of their lungs, and the whole atmosphere was electric especially because the venue was so small and no matter where you stood you were so close to the stage. They also did a cover of Jess Glynne’s ‘Hold My Hand’, a version which I really really enjoyed even though I’d grown a bit sick of that song after it being so overplayed on the radio, they put their own spin on it, made it their own and got the whole crowd holding each other’s hands, singing and dancing along and having the time of their lives. Andy even came down from the stage to stand right in front of the barrier to the front row and held some of the people in the crowd’s hands as he sang, which made me very jealous indeed but it was such a lovely interactive touch to the concert that wouldn’t usually be possible in a bigger venue. As always, and as with most good concerts, they were very interactive with the crowd and incredibly energetic and enthusiastic on stage which was so much fun to be a part of and to watch. The energy from the stage and the band themselves radiated through the whole crowd, it was infectious and that’s the thing I love about concerts; the fact that everyone is just lost in the moment and having the most amazing time ever despite whatever else that might be happening in their lives or in the rest of the world. Right there and then in that moment is all that matters. 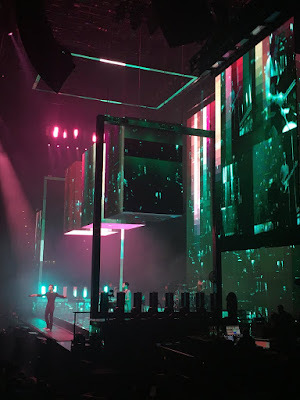 They finished with one of my favourites, ‘Standing in the Dark’, which left us all with a lot of energy and still hyped as we left the venue. My only complaint would be that the set was too short, only an hour and 15 minutes long! But I suppose I can forgive them because they packed so much into that time and gave so much energy and passion that the time just seemed to fly by. All in all, I had a really amazing night, it was so much fun and Lawson never fail to put on an incredible, energised show with just the right amount of interaction with the crowd and one another, and a few slow acoustic songs thrown in to give enough diversity and the chance to have a breather! If you haven’t seen Lawson live before, even if you’re not a fan or aren’t really familiar with them, I would highly recommend going to see them live if you get the chance (their tickets are really cheap, unlike most concerts nowadays! ), they really give their all on stage to put on an amazing show and you can tell the support really means a lot to them, which is why they’re one of my favourite bands. They deserve a lot more recognition for their music!